For the complete solution of PTFE Molded Products, S. M. Shah & Company is the perfect destination for you. They are usually famous by the name of products. Our wide range of Molded Products includes rods, sheets, skieved sheets, pipe fittings and diaphragms and so on and so forth. All our Industrial PTFE Products are accessible in varied diameters, lengths and thicknesses. You can choose them as per your requirements and specific needs. They are manufactured from the finest quality raw materials making them highly durable. In addition to this, we are one of the major PTFE Molded Products Suppliers and a prominent exporter in the market. Made to order : Thicker sheets upto 50mm. Material : 100% PTFE and Filled PTFE. Butyl/HypalonRubber Diaphragms for Saunder weir type Valve. To handle highly corrosive chemicals from 200oC to 260oC service temperature. For 7/8 Kgf/cmÂ² line pressure. Also to handle sticky - abrasive fluids. Longer lengths upto 750mm for Bush OD upto 300mm with minimum wall thickness of 10mm. Milled & Slit type with or without CAF inserts. Milled type gives proper fitting for insert resulting in flat face to the flange. But it will be expensive While SLIT type envelope do not give fullflat face to the flange but it is cheaper as compared to Milled type. Size :12mm onwards with std flap thickness of 0.5mm (Other on request). Also in elliptical shapes and large sizes. PTFE Solid Gaskets : Available in all shapes and sizes up to 1100 OD Maximum. Large size and shapes by welding process upto 15mm thickness. Applications : Used in chemical plants, Glass lined pipes, fittings & tanks etc for static sealing of highly corrosive fluids at high temperature. PTFE Universal Rope Gasket is soft unsintered material having very smooth surface finish and characterized by very low co-efficient of friction. This makes it very useful sealing material and used as gaskets on flanged connections of pipe, fittings, tanks & vessels and such other matting surfaces. Size & Shapes : 1.5mm - 29mm in Round/square sections in the length of 5 Mtr to 10 Mtr. QVF Bellow for Glass piping systems and Line Bellows for lined piping systems to accommodate shocks, vibrations, Linear expansion, compression of lines, axial misalignment etc. Valves with spindle for sealing fluid in glandless valves Stirrer Bellows for accommodating vibrations and shocks etc. Bellows as Pistons in glandless metering pumps. Bellows with 'V' section convolutions are highly extensible, but notch-sensitive and hence suitable for use only at low pressure. While Bellows with rounded convolutions are less flexible and extensible but suitable for use at high pressure. Sizes : 25mm NB onwards upto 300mm NB. Bigger sizes on order with or without Aluminium or Steel flanges. Electrical Insulation (Anti-Skid) Rubber Sheet As per I.S 5424 of 1969, B.S, 921 of 1952 with test certificate for 11 k.v. - 22 k.v. - 33 k.v. Can be used in pipelines where axial, lateral and torsional flexibility is needed. The users include chemical complexes, pipelines, railways, fertilizers & steel plants etc. Various kind of gaskets for packaging purpose, from all types of elastomers is used virtually in al branches of industry. Extruded Tubing and profiles are custom manufactured in almost endless array of sizes, shapes and colours to be used in diversity of application including peristatic pumps, catheters and fluid transfers systems. Whatever you needs - for a horizontal or vertical conveyor, for conveying hot or damp materials, raw materials, chemicals or foodstuffs, at +50%C or -50%C, with smooth or patterned covers. SMS fabric-ply belts provide the right means of transporting your bulk materials continuously, efficiently and economically. Glass Beddings, Sealing, Strips, Cords, Channels, Typewriters Rolls, Insulation Sleeves, Tubes from Viton, Silicon Neoprene and Natural Rubber. Transparent Silicone tubings from 0.2 to 50mm ID in different wall thickness & lengths.These tubes are non-toxic, bio-logically inert, withstand repeated sterilizations by autoclave. Viton Rubber Cords, tubes, O-Rings, Strips & Oil seals. Cylindrical type (1 NB to 60 NB) as per specifications. Sponge Silicone rubber sheet, Strips, Cords & Gaskets. High pressure & Low pressure SS Braided & Rubber Hose for pharmaceuticals, food, beverage, dairy & chemical Industries. O-Rings, tubes, gasket, diaphragms, bellows, seals, cables. Moulded item from Viton, Silicone, Nitrile, Neoprene, SBR, Polyurethane, Hypalon, EPDM, Butyl, Natural etc. with metal, Fabric, Wire mesh reinforcement, as per customers specifications & requirements. 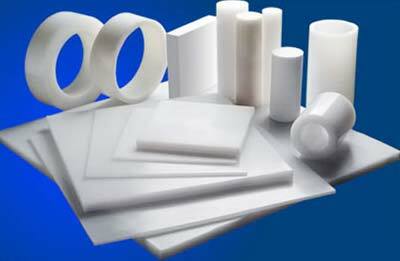 Plastic Rods/Sheets/Bushes/Moulded Parts/Machined Parts in PVC/Uhmwpe/PE/Delrin/Polyurethane/HDPE/Nylon/Polyamide Etc.